Videogames may be successful at the moment. But they have not penetrated in society the way that cinema, literature and music have. Games are still a marginal medium. They can remain so for a long time. Or they can disappear altogether (it has happened before). It would be a shame if this wonderful interactive technology would be limited to the current types of videogames, or disappear if videogames stop being successful. The Japanese games blog ZillionMonkey has published an (English language) interview with us. Have a look. Publilcations great and small gather to discuss the wonders of The Path, apparently the It Game of the game blogosphere (Slate). 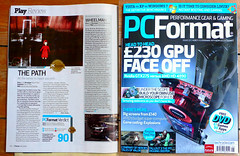 It still amazes us that mainstream magazines like PC Format award The Path with Gold. That thing that is wrong with the games industry, well, it’s definitely not caused by the games press, who is meeting our little experiment with open arms. The Path is also starting to get noticed in the more general press. Which makes us very happy because we really hope that it is a game that non-gamers will appreciate too. The Path is thoroughly gynocentric in its design, character direction, music, etc. (…) You don’t have to be a female gamer, though, to appreciate The Path’s take on literary symbolism, Gothic sensibility, and relaxing pace of play. The Path is a sort of anti-game in a way, a game turned inside out in service to something deeply personal, human and disturbing. The Path, in my opinion, transcended everything I’ve ever thought a computer game to be and instantly planted itself into my thought patterns. Telling a story through open interactive medium is not a simple task, but Tale of Tales pulls it off using atmosphere and implication. They also leave plenty for the reader’s imagination. Love or hate the experience, The Path is a marker in the evolution of storytelling. Man muss sich in jedem Fall auf The Path einlassen, muss in den Wald ganz eintauchen und den Alltag hinter sich lassen. Wem das gelingt, den erwartet ein ganz besonderes Erlebnis. The Path, in sostanza, è la Corazzata Potemkin del videogioco. Pretenzioso, soporifero, sconclusionato, per chiunque sia alla ricerca di un normale videogame. Elegante, ipnotico, onirico, per chiunque sia alla ricerca di un’esperienza audiovisiva. What I experienced was nothing short of breathtaking: entire worlds of narratives and areas to explore unrestrained by contrived and cliched gaming tasks (such as “defeat this monster, progress to the next level” etc). The animations are beautiful. The music can be chilling. The words and images grow increasingly disturbing, and sometimes sexual, though opaque. When it’s all over, there’s a lot to think about, which turns out to be a more enjoyable exercise than actually playing The Path. I’m really torn on The Path. I don’t know what to do about it. Many won’t enjoy it and some won’t understand, but this is an important step in the evolution of gaming. This sort of experimentation deserves recognition and reward and I only hope we’ll see more like it. The Path probeert je duidelijk te maken dat je je eigen levensweg moet bepalen en niet altijd naar anderen moet luisteren, zelfs al weet je dat het naar je eigen ondergang zal leiden. Zware kost dus, afwisselen met Braid is dan ook toegelaten. As an art house project The Path can be considered quite successful. The work of Tale of Tales is preserved thanks to the vagueness of the game’s genre. It’s difficult to review something that has nothing to be compared with. If you’re looking for a new experience, then consider your $10 well spent. 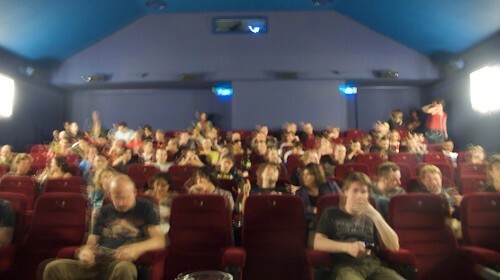 the audience gathering for the panel discussion we participated in at the Imagine Film Festival, Amsterdam. The discussion was about games and cinema and story, games vs. cinema vs. story… etc. 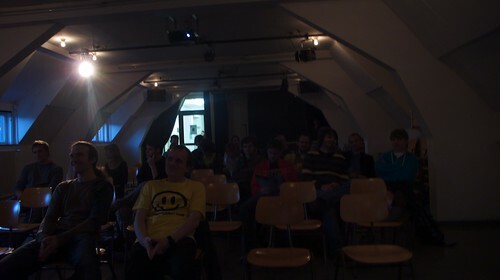 the audience at our presentation during Happy Front End in the Merz Academy, Stuttgart. A presentation of all our games to the interested students there. At the invitation of professor Olia Lialina. 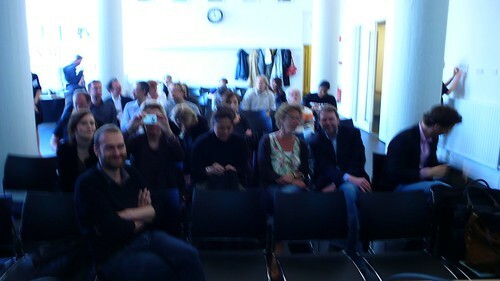 the audience at the book launch today of The Place of Play, Amsterdam. We were invited by the author our friend Maaike Lauwaert to discuss The Endless Forest and how our interaction with the community has shaped the game’s evolution. I’m considering to officially join the legions who are sick of the games-as-art debate. Because I am sick of it too. 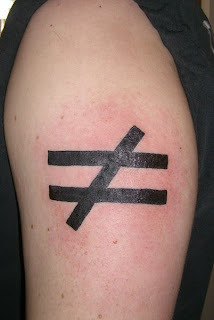 But not for the same reason. I’m sick of games. I’m sick of the endless debates on how we’re supposed to achieve something deeply meaningful by making people play with puzzles or achieving fake goals by adhering to arbitrary rules. Let games be games. Let them be fun. Let them be playful. Don’t weigh them down with all sorts of demands of meaning. Let them be frivolous, meaningless, brainless fun. Please. This is about much more than games! We have this wonderful technology, the computer. It is capable of doing so many things. And one thing it does amazingly well is serve as a medium for entirely new experiences. Interactive experiences, non-linear adventures with creatures that seem to be alive, strange lands to explore and things to discover. Making you feel like you are somebody else in another place, another time. The Holy Grail of any art form that has come before. The thing that all paintings, all poems, all architecture, all opera, all literature and all films have wanted to be for centuries! And what do we do with this medium? We make games! In fact, we obsess about making ever more intricate little puzzles, with ever more clever little mechanics to make people feel ever so smart when all they did was follow rules and obey commands. It’s decadent! It’s wasteful! It’s negligent! It’s a shame! Imagine that caveman down in Lascaux finding pigment and a wall and drawing a grid on it to play tic-tac-toe! Imagine the farao’s in Egypt deciding to make Tetris instead of pyramids! Imagine Botticelli putting his canvas down on a table and move some pawns over it instead of painting The Birth of Venus! The shame! The horror!! Yet, it’s exactly what we’re doing with the interactive medium. We have this incredible technology -almost like magic-, this wonderful medium! And all we do is sit there and throw dice with it. Let games be games. And let’s move on. Maybe we’re a little bit like scientists in a lab. We set up all the elements that are required for an experiment and then we run the test and accept whatever comes out of it. Sometimes the outcome is more interesting than other times. But no outcome is wrong. Pedro Giglio picked our brains in English and Portuguese. 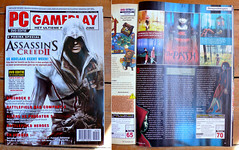 And extracts a list of favourite game designers from us. The Path on the Mac. Now. It wasn’t easy to shoehorn the DirectX-slave that is Quest3D into the seductive arms of Mac OSX, but with the help of the friendly people at TransGaming and Act3D, we did it! The Mac version costs the same as the PC version. $9.99. Which means Good because it is 666 upside down. Oh, and for the occasion, we have made some new desktop wallpapers (in Mac resolutions only) and… new Deluxe Edition USB sticks! Thank you, Vikas and Blair and Daniel and Mark and Rob and Paul and Ferry and Remko and Jos! Author MichaelPosted on May 7, 2009 Categories Business, History, The Path, Version History12 Comments on The Path on the Mac. Now. 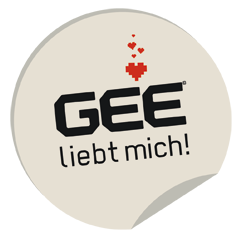 Our favorite German games magazine gave The Path their coveted “Gee loves me!” sticker. This and much more in today’s episode of The Path in The Press. The Path poses many intriguing questions about the division between art and game, it is also a horror game of the finest degree, it doesn’t have any shocking scare moments. Rather, it unsettles and unnerves you in many ways. Es ist eine interaktive Erzählung, eine Geschichte, die man sich selbst erzählt. But is it a game, per se? Probably not, yet the game mechanics are key to its success. En The Path se habla de la vida, de la muerte, del amor y de la sexualidad haciendo uso de un simbolismo sugerente como en muy pocos otros medios se encuentra, y al contrario que en muchas ocasiones en las que se intenta emplear escudándose en un sobrecargado diseño y exageradas pretensiones, funciona. Be sure to approach this short horror game as an experimental interactive narrative rather than a typical video game with clear goals and rewards, and you won’t be disappointed. Das genussvolle und bisweilen verängstigte Herumirren, die Ziellosigkeit und die Langsamkeit gehören nicht nur zu “The Path”, sie machen das Spiel aus. To classify Tale of Tales masterpiece of interactive adventure in storytelling artwork as a game forces expectations on The Path and these expectations would do more harm than good to this brilliant and memorable experience. Mit diesem wirklich gelungenen Experiment im Bereich interaktiver Selbstfindung zeigen „Tale of Tales“, dass man in der festgefahrenen Branche durchaus noch Neues schaffen kann. (…) it is obvious from the outset that developer Tale of Tales have made a conscious decision to attempt to shatter any conventions you may previously have held regarding gameplay and narrative. Het oogt en klinkt prachtig, en speelt uniek. There’s also an interview with Auriea on Gamereactor TV, filmed at our booth at the Independent Games Festival. 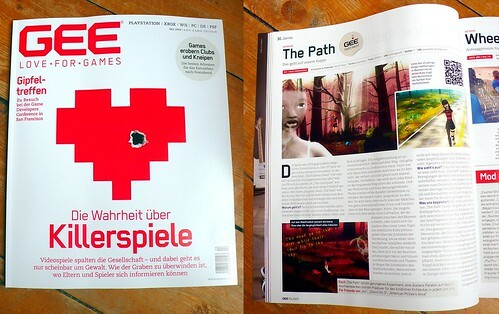 Without titles like The Path, games risk being relegated to permanent insularity. Audiences and designers who care about games must play– and buy – these kinds of games, and accept their role in the future legitimacy of the medium. Knytt, Gravitation, Braid, Everyday Shooter and Zeno Clash. Five independent games. Five times the same experience for me. I launch the game, get to grips with the controls and start playing. Then suddenly, the game stops me. In some cases it makes my avatar die. In all cases, the only thing to do is to retry. And fail again. And retry. And fail again. In some cases I do this two or three times before I close the application (sometimes I uninstall it on the spot). In other cases perhaps 4 or 5 times. But I never made it beyond the first challenge in any of them. So I ask myself if these games were perhaps badly designed. Some videogames allow you to enter them smoothly and easily. It often takes hours for me to reach the point where the game blocks itself off, closes up like an oyster refusing to give up its pearl. But at least I got a few good hours out of it. Portal was like that for me. So was that remake of Tomb Raider 1. Hm. Does it take money to design a game well? When I related my confusion to Auriea, she said “You just don’t like games.” That was enlightening! For a moment. I don’t particularly like games. That’s true. I won’t go out of my way to play a game of chess or hide and seek. And I’m not exactly thrilled when my daughter wants me to join her game of Legos or Playmobil. Those games never end in such a cruel way. When I play chess, I often lose. I’m not very good at it. But I still like playing. When I lose in chess, my opponent wins. And that’s kind of nice. It’s nice to see how my opponent is happy with the victory. And I’m happy for them. But with videogames, when you lose, nobody really wins. And it feels more like the game is designed to make you lose. As if you deserve to be punished for something. When all you did was try to play a game. If you can call it that! Outside of the electronic realm, the majority of games require multiple players. As a result, no matter who loses, a human always wins. Electronic games are mostly single player games (even many so-called multiplayer games are expansions on a single player idea). Maybe games weren’t meant to be single player? When I play a non-computer game by myself, the rules are always loose. And when I stop playing, it feels more like the game has lost me than I it. Computer-based games are like tests. They ask you questions and require the right answer. They make it hard for you, on purpose. They’re not meant to be easy. 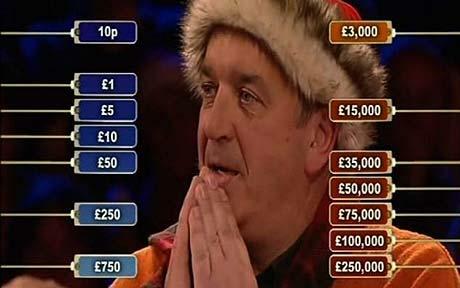 It’s a format that lends itself to quizzes as well as school exams. Only one of which is a game. Though formally they are the same. What makes a quiz a game and an exam not a game? Purpose! Not its rules, goals or challenges. But its purpose! A quiz is a game (and not an exam) because it is done for fun, because it is not serious (like an exam). Or is a quiz an exam simulator and considered a game because it’s a simulation, because it’s not real? The fact that Braid isn’t fun for me does not disqualify it from being a game. 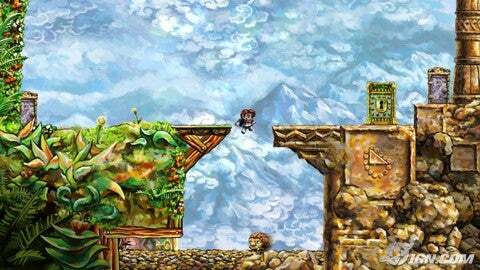 It’s perfectly valid to say “This is not a fun game.” What makes Braid a game? Its rules, goals and challenges? No. Because the same format can apply to something that is not a game (an exam, e.g.). On some level, Braid is serious. Like an exam. Does that disqualify it from being a game? Or is the level on which Braid is serious not part of the game? Is Braid an “augmented game”? But what if the level on which Braid is a game is not fun for me? Does it then stop being a game for me?? That’s ridiculous. The nature of something should not change just because of my feelings about it. Maybe it is sufficient for a game to be fun for someone. Then you can call it a game. Maybe for some people taking an exam is fun. Maybe they would consider it a game too. Maybe it is indeed enough to simply consider something a game. Maybe everything can be a game! You could turn riding on the highway into a game by pretending it’s a race! You could sit in the park and look at the ducks and count their quacks and see if the black ducks win or the white ones. Sounds like a game to me.